Maintaining your Chrysler, Jeep or Dodge properly is the key to vehicle longevity, and our conveniently located auto repair shop is just minutes from our customers who live and work in Claremont, Montclair and Upland. Orr Automotive is standing by to keep your Chrysler car, truck or SUV running smoothly for years to come. Our highly-trained technicians will maximize your Chrysler, Jeep or Dodge vehicle’s performance. All service includes a multi-point vehicle inspection to identify developing problems so you can avoid future breakdowns. Orr Automotive is your convenient independent auto repair and service facility for Chrysler, Jeep and Dodge service and repair. Many of our customers know first hand that many Chrysler and General Motors dealers have been reducing the number of dealerships, and has left many customers seeking quality Independent Auto Repair alternatives. You have a quality alternative at Orr Automotive at reasonable prices. Orr Automotive is your auto repair garage for quality, affordable Chevy Repair. Chrysler, Dodge and Jeep maintenance is very important for the life of your car. Orr Automotive can maintain your car so that your vehicle has the best possible chance of lasting a long time. When you take care of your car, your car will take care of you. Orr Automotive handles all types of repairs for these Chrysler Brands. Orr Automotive for your Chrysler Repairs. Here is a short list of what we can do for your Chrysler, Dodge and Jeep car or truck. Our work is just as good as the Chrysler, Dodge and Jeep Dealer’s but for less money and more personal service! 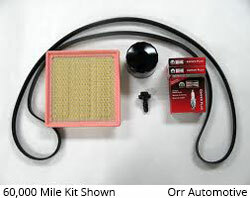 At Orr Automotive, are goal is to fix your car right and get you back behind the wheel so you can enjoy your vehicle.